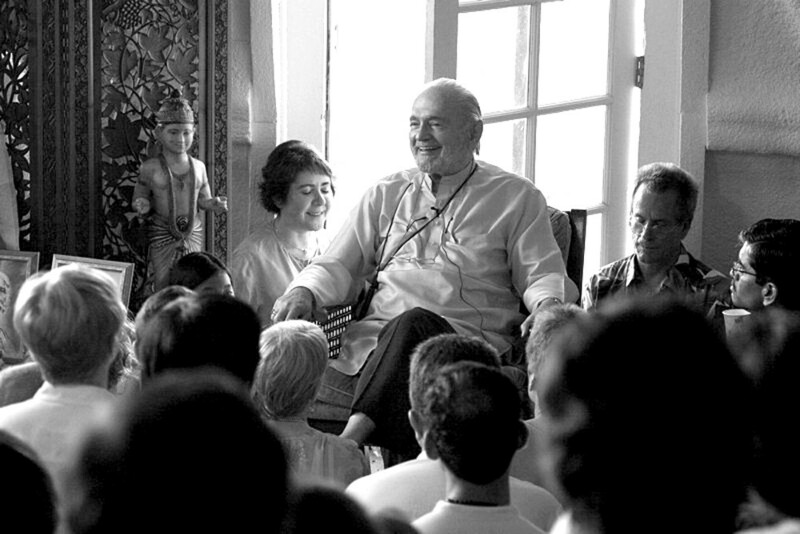 Swamiji was one of several guest teachers sitting on the raised dais at a large yoga center waiting his turn to speak. It was a casual event and the speakers were all in rocking chairs. The room was hot and stuffy and the talks were a little dull. Swamiji was gently rocking back and forth with an abstracted air. Still, watching him was more interesting to me than listening to the speakers, so I was astonished when suddenly he simply disappeared! Unbeknownst to him, the chair had been rocking not only forward and back, but also slowly across the platform until it simply fell off the edge with Swamiji in it. Even though it was a total surprise to suddenly be tumbling off the stage, Swamiji didn’t make a sound. He just hit the ground, got up, lifted the chair back into place, sat down, and resumed rocking. It all happened so fast, only a few people even noticed. On another occasion, this time at Ananda Village, Swamiji and his chair also fell off the stage. He was giving a lecture, sitting in a chair which had been placed so close to the edge of the raised platform, that a vigorous gesture by Swamiji sent it toppling over. This time, everyone’s eyes were on him, and the whole audience gasped in dismay. Swamiji, however, made no exclamation of alarm or gesture of surprise. In fact, he barely paused in his lecture, but stood up immediately and continued talking as if nothing had happened, even while others lifted the chair into place so he could sit down again. 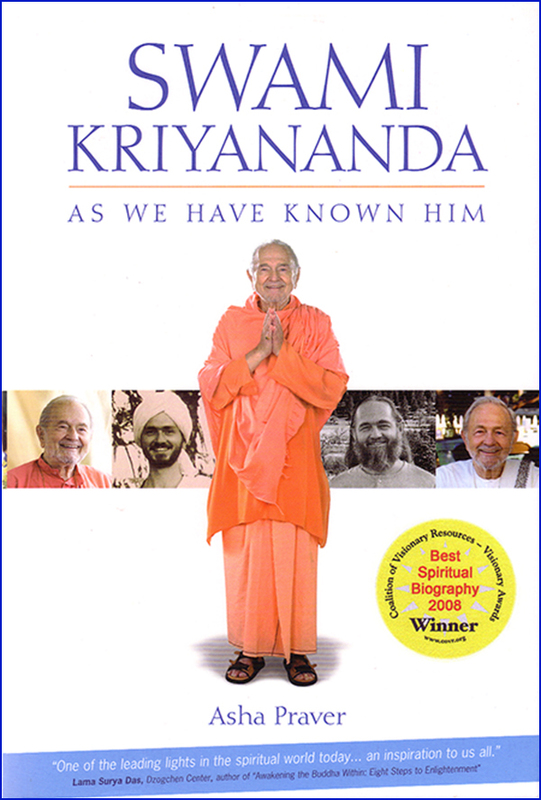 In and of itself, falling off a stage is not a significant spiritual event, except that these incidents illustrate an interesting quality in Swamiji’s nature: He lives in the “now” and is not unsettled, therefore, by sudden, unexpected changes. Rather, to him, such changes are just part of the natural flow, and not worth exclaiming over. Master said, “What comes of itself, let it come.” For Swamiji, this is more than an aphorism—it is a way of life.